POWERFUL RTX 2060 GRAPHICS FOR OUTSTANDING VISUALS The Gigabyte RTX 2060 6GB AORUS XTREME is powered by the new NVIDIA Turing GPU design and the innovative RTX platform, RTX graphics cards combine real-time ray tracing, artificial intelligence, and programmable shading. With GPU boost clock of 1845 MHz the Gigabyte RTX 2060 6GB AORUS XTREME guarantees an outstanding gaming performance. 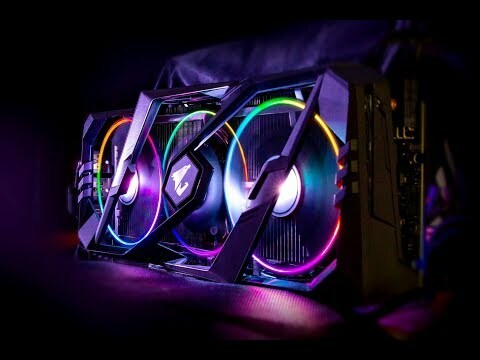 AORUS' cooling system includes a 3D Active Fan and Direct Touch Heatpipes to make sure you get the best performance out of your graphics card and to help with heat dissipation AORUS have introduced the new airflow system to the RTX 2060 where the card's fans have alternating rotations which increases airflow out of the card and improves cooling temperatures. Synchronize with other AORUS devices With 16.7M customizable color options and numerous lighting effects, you can choose lighting effects or synchronize with other AORUS devices. 3X100MM STACK FANS The 3x 100mm stack fans provide larger and more smooth airflow. And with more heatsink coverage than other standard triple fans, WINDFORCE stack fans have better cooling performance. Semi-Passive Cooling The 3D Active Fan provides semi-passive cooling, and the fans will remain off when the GPU is in a low load or low power game. Increased Airflow Pressure AORUS turns the middle fan in the opposite direction, so that the airflow direction between the two fans is the same, reducing the turbulence and enhancing the airflow pressure. Twice the LifeTime The AORUS The double ball bearing structure has better heat endurance and efficiency than sleeve structured fans. Efficient Thermal Conductivity The composite heat-pipe combines thermal conductivity and phase transition to efficiently manage the heat transfer between two solid interfaces which increases cooling capacity. Top-Grade materials for maximum performance AORUS graphics are dedicated to perfect quality. Excellent circuit design with the top-grade materials, not only maximizes the performance of the GPU, but also maintains stable and long-life operation. Top-Grade materials for maximum performance GeForce RTX 2060 with 6G memory and 336 GB/s memory bandwidth has 1920 CUDA Cores and hundreds of Tensor cores operating in parallel. It is the most suitable entry point for those who are developing A.I. technology. It doesn’t only offer great cost-benefits, it can also save you time due to increased throughput and efficiency. 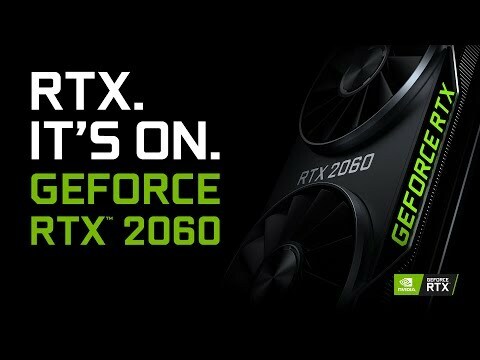 World's first for Ray Tracing & GDDR6 The GeForce RTX 2060 delivers truly unique real-time ray-tracing technologies for cutting-edge, hyper-realistic graphics, this means the RTX 2060 is light years ahead of other cards and gives you the most realistic gaming experience ever. The RTX cards also are the first graphics cards to feature GDDR6 memory that has a speed of 14Gbps (14,000 MHz). Gigabyte GeForce RTX 2060 AORUS XTREME 6GB GDDR6 Ray-Tracing Graphics Card, 1920 Core, 1365MHz GPU, 1845MHz Boost is rated 5.0 out of 5 by 1.